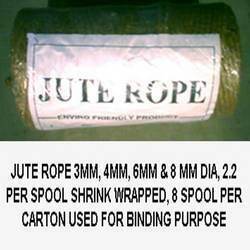 Our Jute Rope is used for tree baling and tree root baling. when the tree is being transferred from one place to other place. 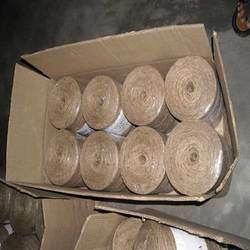 It is made by 100% jute fiber and its quality ratio is only 40 to 45, each roll weight 2.5 kgs, each roll wrapped by shrinked with label, 8 such rolls packed in carton box. 1x40’ container loads 1100 carton. 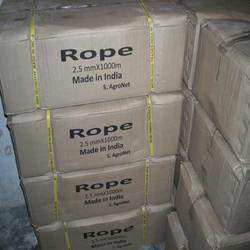 We offer an alluring collection of Rope in Carton in different shapes and sizes. These ropes are manufactured using quality material that is well tested on various parameters for its flawlessness. In addition to it, our range of ropes is known for its leak proof, durable and reusable features. 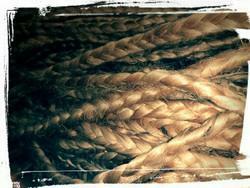 Sample of jute braid, 12 mm x 3 mtr. Natural, red and green colour. We bring forth Cartons For Ropes that are appreciated for their trendy patterns and fashionable look. These are manufactured using best quality raw material and are highly suitable for packaging purposes. These are highly known for their excellent features including sturdy construction, affordable rates and durability.